GATTON, Dora (Salvatora) (nee D'Alfonzo). 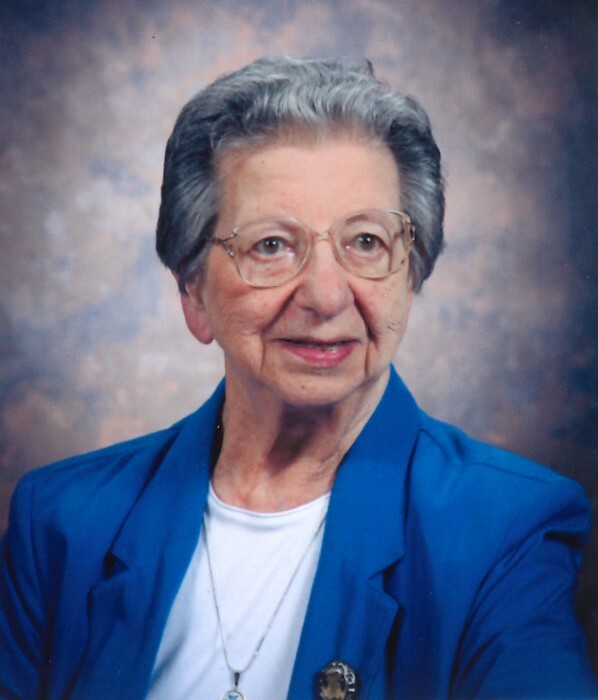 On Monday, April 2, 2019, DORA GATTON, of Glen Burnie, MD, passed away peacefully at age 94. She is survived by a son William M. Gatton, Jr. and his wife Sanae of Tokyo, Japan and a son Jeffrey C. Gatton and his wife Patricia of Severn, MD. She was one of thirteen siblings growing up in South Baltimore. She is survived by a sister, Frances D'Alfonzo of Ellicott City and many nieces, nephews and friends. She was preceded in death by her husband of 65 years, William M. (Bill) Gatton Sr.
Mrs. Gatton served in the COAST GUARD Auxiliary during WWII providing support protection to the Port of Baltimore. During her lifetime she was involved with numerous community organizations. She did volunteer work with the Glen Burnie Boys Baseball, volunteered as a part time school librarian, assisted with the Glen Burnie Improvement Association (GBIA) Big Glen Burnie Carnival, volunteered at the Elks Club and at Holy Trinity Church, now Christ The King Catholic Church. During her lifetime, she was an avid duckpin bowler, enjoyed reading, traveling and loved the tranquility of the outdoors. Mrs. Gatton had strong religious beliefs and attended church services regularly. She enjoyed the Christmas season and was part of the “Happy Corner” on Oakwood Road and Pine Terrace that greeted Santa Claus during the GBIA Santa visits on Christmas Eve. The family will receive visitors at the family owned Singleton Funeral & Cremation Services, P.A., 1 2nd Avenue S.W. (at Crain Highway), Glen Burnie, on Sunday, April 7, 2019 from 2 to 4 and 6 to 8 pm. A funeral mass will be celebrated at Christ The King Catholic Church on Monday, April 8 at 10 AM. Interment Glen Haven Memorial Park. In lieu of flowers, donations are welcome to (NCEON) North County Emergency Outreach Network, 304 5th Avenue SE, Glen Burnie, MD 21061 or to the Hospice of the Chesapeake, 445 Defense Highway, Annapolis, MD 21401. For further information, please visit www.singletonfuneralhome.com.